In the 24th century on the planet Aqua, three girls—Akari Mizunashi, Alice Carroll, and Aika S. Granzchesta—continue to work hard toward achieving their goal of becoming Prima Undines: professional tour guide gondoliers. Luckily, the girls have the guidance of the three best Prima Undines in Neo-Venezia—Alicia Florence, Athena Glory, and Akira E. Ferrari—who are known as the "Water Fairies" in honor of their skill. With their help, the young apprentices train hard and work to overcome any situations that they find themselves in. 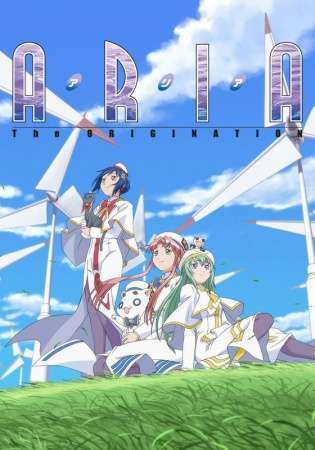 Aria The Origination follows the hardships and daily lives of these three young girls, who are doing their best to improve as tour gondoliers in Neo-Venezia, a terraformed replica of Venice.